‘Linsanity’ has swept beyond the basketball court. 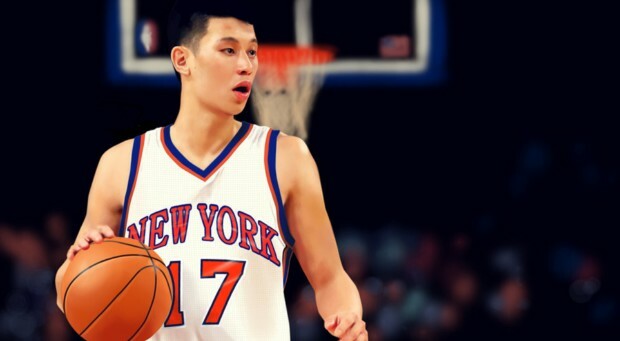 The story of Jeremy Lin is not about basketball anymore. It tells lessons about struggles, hardship, dreams, and success of a young Christian that we can easily identify. 1. Reevaluate priorities in life. Regain source of eternal joy. So when the waves of victory and loss became too overwhelming, he came to God. He committed to trusting in God once again. Resting in the Lord, Jeremy allowed God to be the first in his life. His joy and passion of playing basketball were reignited. He said, 'all these things may bring you momentary thrill, but not eternal joy'. As he returned to the arena, his eyes were on God alone, not the cheering crowd anymore. 2. Honor your parents. Accept their guidance. Be grateful of your family. Seeing the young David going courageously against Goliath, King Saul amazed and wondered, 'whose son is this young man?' In the same way, whenever there's an outstanding (or undisciplined) child, we will always wonder which family this child is from. Jeremy grew up in a loving and God-fearing family. Mrs. Lin always reminded him, 'Be humble! Give glory to God!' Mr. Lin expected his three children to place church life as top priority in their lives. When Jeremy was first drafted into the NBA, Mr. and Mrs. Lin, friends from church, even Christians who do not know him, have continuously prayed for him that he will not be lost in the world that is full of temptations. 3. Never give up during adversity. Trust God for His perfect will. This passage has carried him through this lowest point of his life. Despite all these crude remarks, Jeremy did not give up. This is not what Christian do. He said, 'When I think about how I sinned against God but His amazing love covered me and forgave me, I will also get over those jeers." He was struck but he got up and stood again. In desperation he chose God. He entrusted himself to God. He also said, "In the midst of troubles, God is faithful". God is good during our ups and our downs! 4. Resist pride in victory. Give glory to God. Jeremy's childhood dream of playing in NBA has come true. He admitted, "I know for a fact that God has called me to be here now in the NBA. And this is the assignment that He has given me." Though the consecutive winnings have brought him fame and attention from the media, his strong conviction in the Lord kept him afloat without drowning in the limelight and self-glorification. He knew all along God has been opening the way for him - 'the battle is the LORD's and He will give you into our hands'. Once his brother asked how he could manage playing such amazing games. Some shots were simply awesome! Jeremy knew it was God who was in control. He himself was shocked too. 'Try my best and fight the battle with God' has become his motto. Whenever their team won the game, he would raise his right hand, with the signature gesture of second finger up in the air. He gave glory to God. As in James 4:6b, “... GOD RESIST THE PROUD, BUT GIVES GRACE TO THE HUMBLE”, God honors his humility with victory. 5. Be humble. Do not seek recognition. Regard others more important than yourself. Jeremy doesn't draw attention to himself. He is known for assists, helping team members to score. His modesty and consideration help to build camaraderie in New York Knicks and led them to consecutive wins. As much as the media likes to put him in the spotlight for the winnings, he always responds with humility, "Thanks to my team, the fans, and God'. After the 4 games with the LA Lakers, reporter commented his performance even better than Kobe Bryant. He responded with gratitude, " I'm so thankful for my teammates. It's (the Lakers) a great team. I respect them. And I have a lot of respect for Kobe. I have to play with my best effort. It's the team effort to win the game". At his 6th game, Jeremy made a tie-breaking 3-pointer with less than a second and defeated Toronto Raptors. He said, 'My teammates have scored many points. I like having it at the end of the game. And I'm thankful that the coach and my teammates trust me with the ball at the end of the game'. 6. Be persistent in prayer. Believe in prayer. Let prayer accomplish what you cannot. Jeremy is a man of prayer. He said, "After each game I would ask God for His purpose. Why am I here? I have wrestled with God and He humbled me. It has been a very difficult year but it's also the year I spend the most time with God. I can testify God walked with me every step of the way. He carried me through every desperate moment. Throughout his high school years, Jeremy wished to admit to Stanford University, which is the home of many basketball athletes. After 6 months of praying, he only found out there was no scholarship granted and no team invited him. Reluctantly he settled with his last resort, Harvard University. At the beginning, he didn't understand. Now looking back, he knew God has heard his prayer. God has fulfilled his dream, but taking different path. God wanted him to learn the lesson of trust in spite of feeling lost. Aiming to be drafted into the NBA, Jeremy spent much time and effort in training. His high hope was to join the Lakers. When he was rejected, he was very upset. During that time, out of the blue, the general manager of the Dallas Mavericks, who is also a Christian, gave him a call and encouraged him, "Remember the wonderful plan God has for you. The rejection could be just a stone that should be thrown away. God is the one who has the ultimate control". It's not easy for him to regain his confidence. Finally he got to join New York Knicks. However during the first year in NBA, he was benched most of the time. This time he did not lose heart or complain. He responded with fervent prayers. He came to the understanding that God wants him to be humble. God is the one who is in control. He totally understands: prayer is to let go of your control and let God take part and be in charge. 7. Treasure, study, and experience Bible. Let Scripture be the center of your life. Jeremy treasures, studies, and experienced the power of God’s Word. Scripture has become the driving force of his life. Once he felt lost, he thought of the verse from Phil 3:14 "I pursue toward the goal for the prize to which God in Christ Jesus has called me upward." He reevaluated the purpose of his life and concluded that the biggest prize is actually in heaven. His best is for God. He will play for God and leave the results to Him. Romans 5:3-5 "And not only so, but we also boast in our tribulations, knowing that tribulation produces endurance; And endurance, approvedness; and approvedness, hope; And hope does not put us to shame, because the love of God has been poured out in our hearts through the Holy Spirit, who has been given to us." Walking through the deep valley of despair during that difficult year, but he hold on to the verse and continued to believe even things that seemed hopeless. 1 Corinthians 9:24-25 "Do you not know that those who run on a racecourse all run, but one receives the prize? Run in this way, that you may lay hold. And everyone who contends exercises self-control in all things; they then, that they may receive a corruptible crown, but we, an incorruptible." These verses gave him a wake up call. He has been too anxious on the gain and loss in the games. He has been pursuing the 'perishable crown'. He needs to make adjustment and allows God to be the focus of his life. The Bible is not just a book filled with mere words. The Scripture is closely connected with his many personal experiences that led him to faith and took him to victory. We are excited for Jeremy. His optimism encourages and inspires us, not just because of his Asian look, but his character, perspective in life, and his faith. He may not win every game. To him it's ok when it happens. Life is more than winning a game. He has already acquired things that are more important than basketball.